When I visited this place last June, I had a grueling 10-mile hike through pouring rain. This time I had a little guilty feeling along the way, somehow it didn’t seem right that this shot came so easy. I was passing hikers/photographers along the way on the ATV and I knew how they felt. Could life be so easy for this guy? I forgave whatever bad thoughts they had in their mind about me, they just didn’t know how many miles I have sweated for a shot. So this shot has been on my bucket list ever since I started photographing Glade Creek Grist Mill in WV. 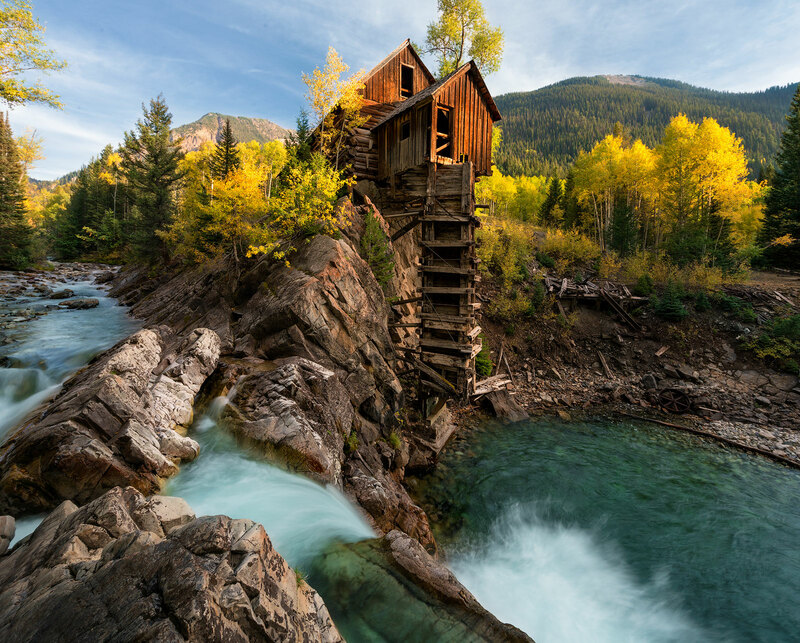 These two places arguably are the most sought out images of all the grist mills in the U.S. They both are distinctively very beautiful, but Glade Creek is super easy to access and this one will make you sweat for your shot, especially if you don’t have any other means of transportation except by foot.